As a wholesaler, heading to trade shows, fairs and exhibitions can be a tiring, but highly rewarding experience. Meeting new suppliers, learning about the latest trends and generally networking with others in retailing and the e-commerce industry can help take your business to the next level. However, with so many to choose from, it can be hard to know where to start. We have compiled a list of some of our favourite trade shows and fairs, along with others that could be useful. What Wholesale Trade Shows & Fairs Should I visit? For more information on all of these and more, carry on reading below. Spring Fair attracts 58,000 visitors and spans numerous halls. A colourful conglomeration of mass and independent retailers means that there’s something here for everyone regardless of budget. Register in advance as it is free for all trade visitors or potential business owners. There’s plenty of parking and public transport too to make things easier. A great trade fair for anyone looking to sell toys, with over 500 stalls to browse. You can find collectables of all kinds, both old and new, and prices ranging from the cheap, to the more high-end. The NEC Birmingham is a trade fair favourite, and as such has excellent parking and transport links. One of, if not the biggest gathering of fashion buyers in the UK. With over 800 international brands on offer, there is something for all kinds of buyers. On their site they state that ‘52% of visitors intend to spend more than a quarter of their annual budget with brands they meet at Pure London’, which sounds pretty promising to us. Another massive gathering for the fashion industry, MODA is another of the industry’s largest events in the UK. With over 1,200 brands attending, it is massive, but it is a great place for buyers to see what the latest trends and collections are. Previously known as the London Off-Price Show, this is one of our favourites (and one that we’ve exhibited at ourselves). It covers a broad spectrum of womenswear, menswear, childrenswear, footwear, sportswear and accessories. It was established in 2000, bringing together suppliers and buyers for two busy days of high quality fashion at unbelievably low prices. The ability to order stock immediately from wholesalers, importers and specialist suppliers from Europe and overseas means suppliers can deliver quickly. The perfect trade show if you are looking to source luxury fashion fabrics. It promises small minimums and a great selection to choose from. It is all set across two floors at the beautiful One Marylebone building. This one is potentially more for learning and networking, rather than for buying or selling. However, with over 300 exhibitors, if you are interested in learning more about delivering multichannel strategies and networking with people in the industry, then this might be the one for you. This great trade fair is ideal for anyone looking to sell baby goods. Whether you are after pregnancy products, accessories, car seats, furniture, this trade fair has baby goods galore. If you are looking for suppliers in the whole convenience and forecourt retail industries, this is the show to attend. You’ll find suppliers offering everything from bakery products to greeting cards, and with over 600 brands attending, it’s sure to be a busy one. Set in the same location and on the same day as the National Convenience Show, this trade show is for buyers looking for products in the food and drinks market. Cheese, confectionery, packaging and Fairtrade products are just some of the kinds of products that you can expect to see. Not a UK trade show, but with such easy links to Amsterdam (especially with the new Eurostar route), we thought that we’d include this one. In-Cosmetics Global boasts on its site that 800 leading suppliers will be attending the show. The exhibitors range from manufacturers of ingredients and fragrance components, to the testing and research side of the industry. Are you looking to sell writing or paper products? If you are, then this is just the show for you, with over 150 stationery suppliers, and set over two days in the sizeable Business Design Centre. Situated in the trade fair favourite, the NEC in Birmingham, the Toy Collector’s Fair is great for buyers looking for both bargains and vintage collector items. You can even bring your old toys and try your hand at selling them on to one of the dealers. The London Original Print Fair has been running for 33 years and attracts ‘international specialist dealers, galleries and print publishers’. As a buyer you’ll be able to browse the wonderful selection of old and new prints all in one space, right in the heart of London at the Royal Academy of Arts. This trade show specialises in all kinds of outdoor leisure brands (think camping and hiking gear). Ranging from jackets to hiking boots, sleeping bags to backpacks, if you are looking to sell outdoorsy products, you’d benefit from attending. Set only a stone’s throw from Old Trafford, you could even catch a game, as long as it doesn’t make the journey too in tents. A trade show set in the heart of Manchester that is a must if you are looking to source all kinds of furniture. The central location means that it is fairly easy to reach by various forms of transport and with free entry for all trade visitors, this could be a great trade show to add to the diary. The second set of dates for MODA, this gigantic fashion trade event showcases products for men and woman, footware and accessories. Whether you are looking to catch up with existing suppliers, find new trends, attend business seminars or just network, MODA has the lot. Over 500 high-end jewellery manufacturers, designers, loose gemstone manufacturers and retail service suppliers will be in attendance at the International Jewellery London trade event in September. A perfect place for doing business in the industry or networking with other buyers and suppliers. 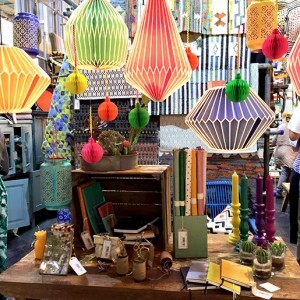 The Autumn Fair is one of the key events for the wholesale gift and home trade scene. There are fourteen different show areas where you can engage with suppliers. This is a great time to view and buy stock to get it in before Christmas. One of the biggest Scottish trade fairs takes place at the Sec in Glasgow. The show is focused around home, gift, fashion, accessories, food, and drink related items, with 170 exhibitors expected to take part. Another date of this show added to our list, this is a great trade fair for anyone looking to sell toys, with over 500 stalls to browse. There will be collectables of all kinds with prices ranging from the cheap, to the more high-end vintage toys. If you are looking to sell pen and papers products, then you’ll be sure to find the Manchester leg of the Stationery show to your benefit. Also, you might find some good deals with this show set so close to Christmas. Another show set at the Manchester Central Convention Complex, Professional Beauty North promises exclusive trade only discounts and the chance to see what the latest trends in spa and salon products are. Below is our 2017 guide. Aching feet? Check. Overpriced lunch? Check? Coffee that will tar your insides? Check. If you’re reading our blogs, there’s a teeny chance you might be a small business owner. Either that or you’re incredibly bored at work. If you are bored at work and you’re considering changing your life by starting up a small business, you could do far worse than checking out our wholesale deals. We have a wide range of goods that lend themselves well to selling on eBay and Amazon, as well as on market smalls or in shops. 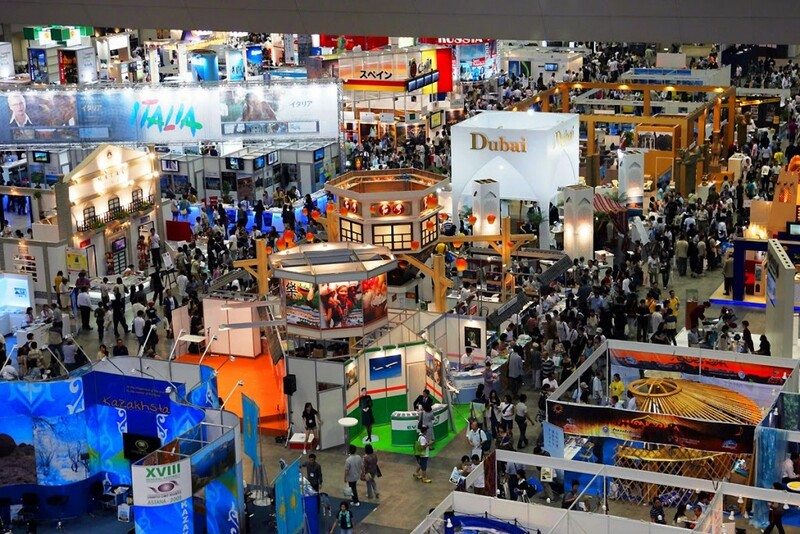 If you fancy looking at how to supplement that income and want a day out, check out some of the trade shows that are run around the country. Usually, if you book in advance they are free to get in, but their individual websites will provide all the pre-booking details you need. Trade shows are great for giving you inspiration about moving forwards with your business, so you can target what you buy and from whom – us obvs! ‘Amazing Brands, Incredible Retailers’ reads the bmpf. If you’re just starting up your business or you’re looking for additional suppliers, this is a great trade show to visit. Centrally located at Birmingham NEC, there’s good transport links and ample parking. The beauty of this event (as well as Harrogate, Top Drawer and Spring Fair) is that you can access literally hundreds of suppliers, from the biggest who supply volume to multiples, to independent suppliers, new to the business themselves – perfect if you want something not necessarily already found on the High Street. It’s a busy show – some 27,000 visitors annually in numerous different halls. Warning – bring a packed lunch (the food franchises are pricey), some water and sensible shoes. You’ll be warm, hungry and shattered after a day of tramping the halls here. You’ll find the event at The Olympia Grand. It’s better to use public transport to get to the event, and a dedicated bus service runs from Earls Court to Olympia, with a special event bus service from stop C on Warwick Road. Or you can book parking at one of London’s car parks. If you’re looking for innovation and quality and feel like a day out in London, Top Drawer is a good event to consider. Top Drawer attract a range of suppliers from the home, craft, fashion, gift and greetings card industries. 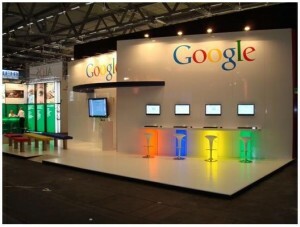 It is one of the UK’s leading international design-led event for creative retailers and brands. Top Drawer describe their event as ‘a window to the new’ and aim to keep the ‘show relevant and dynamic’. The Spring – Summer show takes place 15—17 January 2017. It’s recommended to use public transport to get to the event, but you can book parking at one of London’s car parks. Head back up to Birmingham for the Glee show (no, not the all-singing, all-dancing cheesy US show). This is the UK’s biggest garden, pet, and outdoor living tradeshow where retailers can discover the newest products on the market, source unique products and find something new to set yourself apart from your competitors. Glee 2016 will see the launch of hundreds of new products, and there will be plenty of opportunity to discover future customer buying trends, as well as chat with over 500 suppliers! Vest Glee at the NEC in Birmingham (plenty of parking and good transport links) from 12 Sept – 14 Sept, 2016. If you’re looking for business ideas or want to scout for some suppliers, try the UK’s biggest annual wedding event – the National Wedding Show. Here brides get to try, buy, book and hire everything they need for the big day, and you’ll find over 300 wedding specialists including bridal boutiques and florists, jewellers and photographers. Looking for a franchise opportunity? If you can afford it this could be an interesting way to start your self-employed business career. Brands on display this year include McDonalds, Subway, The Creation Station, Fit4Less, JumpArena and Rush Hair and Beauty among others. There’s a full range of speakers, and seminars. The exhibition takes place in Hall 9 at the Birmingham NEC from Friday 30th September to Saturday 1st October. Looking for inspiration for expanding your clothing business? Try The Clothes Show in Birmingham, which is a fun mix of fashion and beauty (and bills itself as a festival and a fab girls’ day out but presumably women who like clothes can go too, and men!). It’s a ‘one stop destination for all things fashion and beauty, where the line-up of brands, boutiques, fashion experts, catwalks and live performances are more unique than ever before.’ There are in excess of 350 pop-up fashion and beauty boutiques, with exclusive style advice available and non-stop runway shows. There’s a Pamper Lounge located in the beauty hall, where you can go and spoil yourself. On at the NEC in Birmingham between 2nd and the 6th December. 2016. Giving and Living is the biggest Home and Gift trade show in the South West and offers an unrivalled selection of products for buyers targeting the coast and tourism markets. There’s a strong focus on coastal products as you would expect for the region, and some smaller businesses, designers and suppliers. It’s friendly, less pressured than the big shows, with plenty of parking and it’s easy to get around. Visit: 15th-18th January 2017 | The easiest way to get to the show is by road. M5 to Junction 30 and follow the road heading for Sidmouth. Scotland’s Trade Fair runs over three days in January (Spring Fair 22-24th January 2017) and two days in September (Autumn 2017 tbc). Held at Glasgow’s SECC, the Spring Fair can boast over 500 companies who will be exhibiting thousands of products, including clothing, textiles, jewellery, fashion accessories, Clan Products, beauty and bath, stationery, giftware, food, and speciality fine food. The fairs attract somewhere in the region of 5000 trade buyers and incorporate three specialist areas. Showcase Scotland for example, has 250 of the very best Scottish companies, creating ‘a focus for UK and overseas buyers of both new and established Scottish brands.’ The Launch Gallery was established in 2009 has emerged as an exciting opportunity for young start up and emerging companies, with 30 stands located together in the heart of the show. It’s a great platform for these young entrepreneurs and designers to present their exciting wares to the public. In addition, Scotland’s Speciality Food Show, runs concurrently with Scotland’s Trade Fair in Hall 4 of the SECC. Open (Spring Fair) 22-24th January 2017 | Located in Hall 4 of the Scottish Exhibition and Convention Centre (SECC), Glasgow. It is located a mile West of Glasgow City Centre on the banks of the River Clyde. The Toy Fair is the premier game and hobby event that gives visitors access to the hottest and most anticipated products for the year ahead among more than 260 brands. There are innovative start-ups, alongside major companies such as Hasbro, Bandai and Vivid Imaginations, hands-on demonstrations and expert-led talks. The Relaxation Garden offers complimentary reflexology and massages so you ‘can take a break from the hustle and bustle of the busy show floor’. Visit: 24th-26th January 2017 at Olympia, London. Bubble London is a premium children’s trade show, visited by buyers and members of the press that is held at the Business Design Centre, Islington. At each event you’ll find a unique, edited line-up of kid’s fashion, accessories, gifts and homeware brands. Visit: 29th and 30th January 2017 at the Design Centre, London. For fashion fabrics and clothing accessories, buttons, bows and everything in between, it might be worth a peek at the London Textile Fair. The fair takes place at The Business Design Centre, 52 Upper Street, Islington, London N1 0QH. Manufacturers and their agents have the opportunity to showcase their products to buyers and designers. 5th Feb to the 9th Feb, 2017. You can find the Jewellery and Watch Fair at the NEC in Birmingham between the 5th to the 8th February 2017. Similar to the Autumn Fair above – but even bigger! Spring Fair Birmingham is billed as the UK’s number one home and gift event and spans numerous halls. If you thought Autumn Fair was tiring, you ain’t seen nothing yet. A colourful conglomeration of mass and independent retailers, there’s something here for everyone regardless of budget. Pre book your ticket and entrance is free and there’s plenty of parking and public transport. Volume opens 4th February, and then everyone is welcome between 5th – 9th February 2017. If you’re considering a business making your own beauty products, here’s a trade fair for you. You can find here the raw materials and ingredients needed for cosmetics, toiletries and personal care. There are 700+ exhibitors of ingredients, fragrances, lab equipment, testing and regulatory solutions with over 9,000 cosmetic manufacturers worldwide. It’s a cost-effective business and networking opportunity. In-cosmetics 2016 show was the biggest show to date, so it’s looking good for 2017. You’ll find it at ExCeL in London on 4th to the 6th April 2017. If you’re looking for tips on maximising your online presence, this could be the show for you. The Internet Retailing Expo is the place to find a complete range of products and services essential in multichannel retail, and hosts over 6000 European retailers and 300+ exhibitors from UK and abroad who specialise in the retail, leisure and hospitality sectors. Visit: 5th-6th April 2017 | Hall 9, The NEC Birmingham, Pendigo Way, Birmingham, West Midlands B40 1NT. This is the one for me. I have a thing about notebooks! The leading UK exhibition for stationery and writing instruments, The London Stationery Show is a two-day stationery extravaganza held at the stylish Business Design Centre. If you buy or sell writing and paper products, or are thinking of doing so, this is trade show and exhibition for you. If you’re based in the Northern half of the country, Harrogate home and gift trade show is a good trade show to visit. With thousands of new products on display, as well as all the old favourites, there’s plenty to choose from. You’re able to take the opportunity to learn from the experts, as the Great Northern Retail Forum provides buyers and brands alike with fantastic retail insight from Google, John Lewis, Tom Kerridge and others. The show promises a traditional northern welcome, and you can visit between the 16th and 19th July 2017. One of Wholesale Clearance favourite shows, and one that we’ve exhibited in ourselves, is the London Off-Price Show. Focusing mainly on fashion, they cover a broad spectrum of womenswear, menswear, childrenswear, footwear, sportswear and accessories. Established in 2000, and occurring next in March 2017, the Off-Price Show is brings together suppliers and buyers for just two busy days and offers buyers high quality fashion at unbelievably low prices, available to order immediately from stock from wholesalers, importers and specialist suppliers, from Europe and overseas meaning suppliers can deliver quickly. There are also Business Improvement Seminars, which are free to attend when you register to attend the show. Visit March 2017 (Dates tbc) | Venue Generally Olympia Exhibition Centre, Hammersmith Road, London W14 8UX, but March 2017 subject to confirmation. If you’d like to see some of our stock, and you fancy a giggle, check us out on YouTube visiting the show in 2013, right here. I am very much interested in attending your trade fairs. Hi, we are going to be adding more venue’s to the trade list, and we will keep you informed of the trade shows we attend. Yes I will add you to a list for information and dates of Trade Shows. Do these trade fairs also include wholesalers of jewellery supplies and if so do they also launch one in the UK? Thanks!